Are you a Mountaineer? Mountain culture is a way of life enjoyed by thousands of people around the globe. 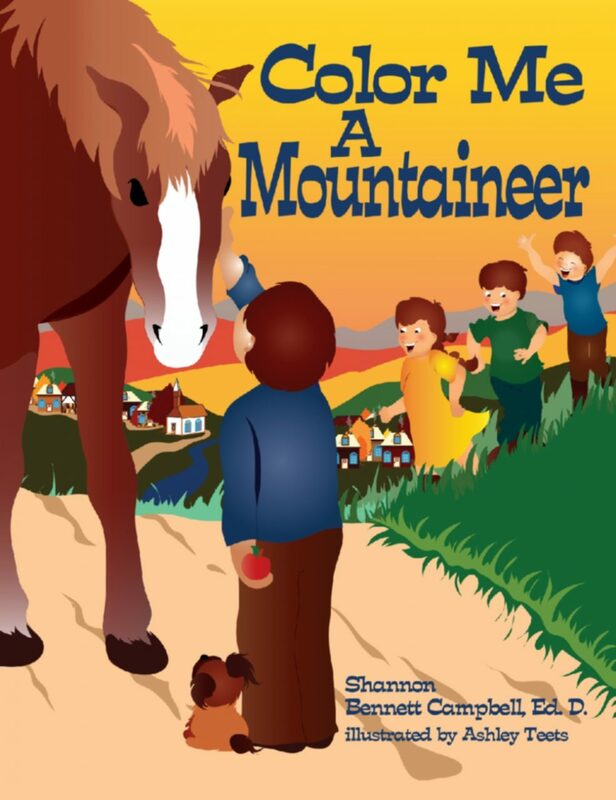 Author Shannon Bennett Campbell has captured the customs of the culture in her Mountaineer series of coloring/activity books for children. Region based, these books offer adjunct learning to core curriculum for cultural aspects in a nature kind of way—bringing a child’s home culture and language into individual learning programs, whether classroom or homeschool. Children learn by experiencing the world in which they live and the captivating illustrations by Ashley Teets enhance this experience. Author Shannon Bennett Campbell, Ed. D., designed this instructional tool for young children to reinforce prominent values that are typical of mountain culture. She believes they will learn appropriate social skills, coping strategies, and a greater appreciation for their heritage. Within the pages are many activities including adding personal touches to the pictures…design the quilt Grandmother is making, name the jars of food that are canned on the pantry shelves, add time to the clock in the classroom…find and finish other activities, too!